The African Union (AU) is paving the way for the entry of the latest and most controversial form of genetic engineering – gene drive technologies. In July 2018 the AU released a report endorsing the development of the technology as well as “enabling legislation” for their deployment across its member states. The African Centre for Biodiversity (ACB), has released a critique of the AU report, which the ACB says is hopelessly premature and merely repeats unsubstantiated claims made by gene drive developers. Gene drives are an extreme form of genetic modification (GM), designed to alter the genetics of an entire population, with the potential to eradicate entire mosquito populations. Such a technology has stirred intense public, policy, legal and ethical debates about the potential impacts on the environment and health. Their potential for eradicating malaria, a serious health challenge in Africa, remains highly speculative. Current evidence demonstrating their potential as a sound tool for malaria eradication is yet to be demonstrated, with some developers admitting that they are likely to face technical problems that may well hinder their effectivity. Despite the lack of underlying data demonstrating their potential efficacy, grand claims of gene drives being a “game-changer” are nevertheless being made by developers, and supported by AU statements that they present “realistic options for effective disease control” and that “potential benefits for African countries will almost certainly be extensive”. Such claims have already opened the door for gene drive research groups such as the Target Malaria project, funded by the Gates Foundation and the Open Philanthropy project, to release other forms of genetically modified mosquitoes in Burkina Faso, due to be trialled in the very near future – the first ever GM animal on the continent – showing callous disregard for its people, the environment or the concerns of many scientists about potentially harmful impacts. The GM mosquitoes have no public health benefit and are meant to ‘test’ biosafety systems and prepare the way for the future release of gene drive mosquitoes. In the meanwhile, research is already taking place that pays volunteers to expose themselves to wild-type mosquitoes for paltry sums (around $4.20 per night for six hours) increasing risk of malaria exposure to themselves and others. The hype and media pressure surrounding gene drives as the latest techno-fix fails to take into account lessons from history. As witnessed with previous malaria eradication programs, while sometimes effective in significantly reducing mosquito populations, they did not always translate to reduced disease burden. Further, numerous African successes in malaria reductions were largely ephemeral, in some cases even resulting in surges of cases amongst vulnerable populations that had lost acquired immunity to the disease. 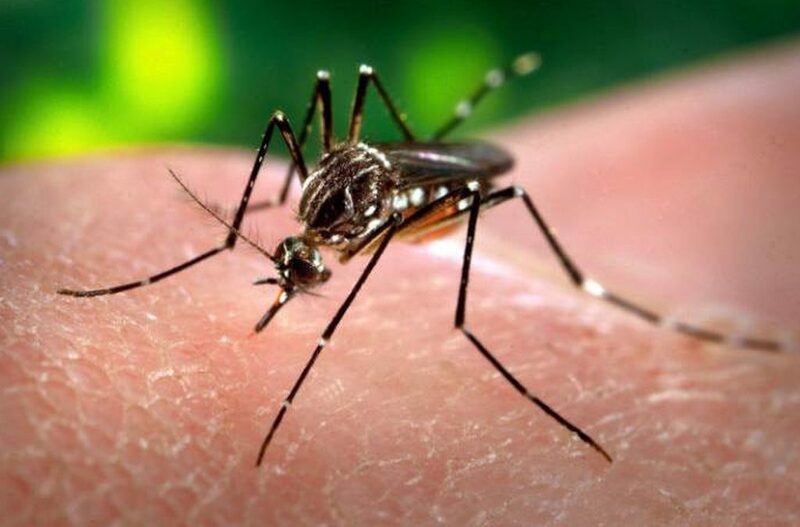 The AU report endorsing gene drive applied research and potential deployment for malaria eradication has emerged in the absence of any agreed international governance standards for the release of the mosquitoes into the environment. The AU has also been deaf to any form of civil society concerns or debate, despite the fact that this technology cannot be recalled once it is deployed. In 2016 over 170 international civil society organisations called for a moratorium on gene drive releases, including applied research such as open field trial releases, until there is further understanding of the potential risks and technical issues. Concerns remain regarding the inability to regulate transboundary movement; the inability to contain gene drive organisms following both field trial and commercial releases; issues surrounding monitoring, assessment and liability; and the need for free, prior and informed consent, particularly with regards to lands and territories of indigenous and local communities as enshrined in the UN Declaration on the Rights of Indigenous Peoples. The ACB supports this call for a moratorium and strongly urges African governments to do the same at the upcoming 14th meeting of the Conference of the Parties to the Convention on Biological Diversity due to take place in Sharm El-Sheikh, Egypt 17-29 November 2018.